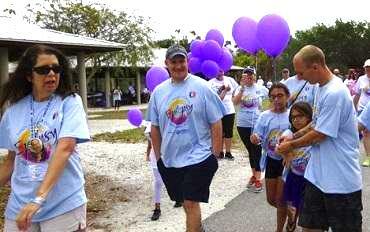 Let’s walk together at Lakes Regional Park in Fort Myers to support epilepsy awareness and the programs and services provided by Epilepsy Services of Southwest Florida. Join us on Saturday, April 27th for the Southwest Florida Epilepsy Awareness Walk. An event t-shirt, lunch and parking pass are included with registration. Registration opens at 8:30am, Walk starts 9:30am. Get people to sponsor you! You can help to make a difference in the life of someone with epilepsy! I'm not a participant in the Awareness Walk but want to sponsor a walker.